Today’s townland is Victoria Park. There’s no old Irish name for this area, just an English name in honour of Queen Victoria, because this townland was built on land reclaimed from Belfast Lough’s mudflats. 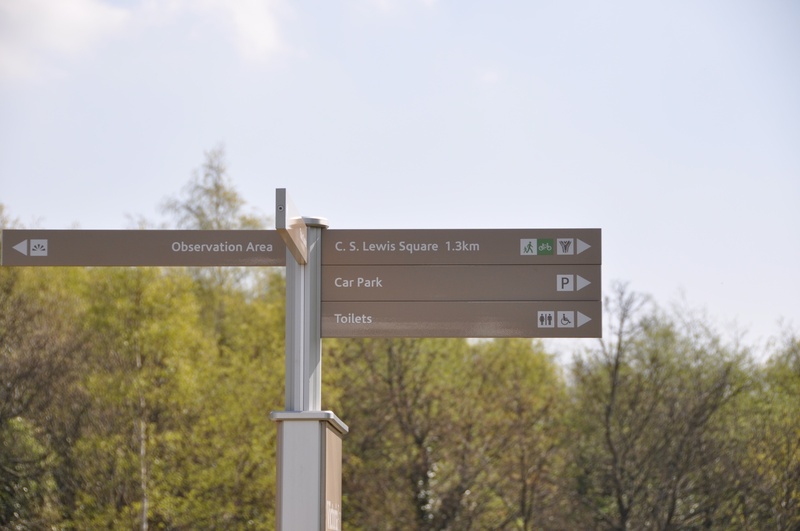 According to the PLACENAMESNI website, the reclaimed area was first designated as a townland in the 1901 Census, and was opened as a public park in 1906. For once I can actually show you a map of the townland. 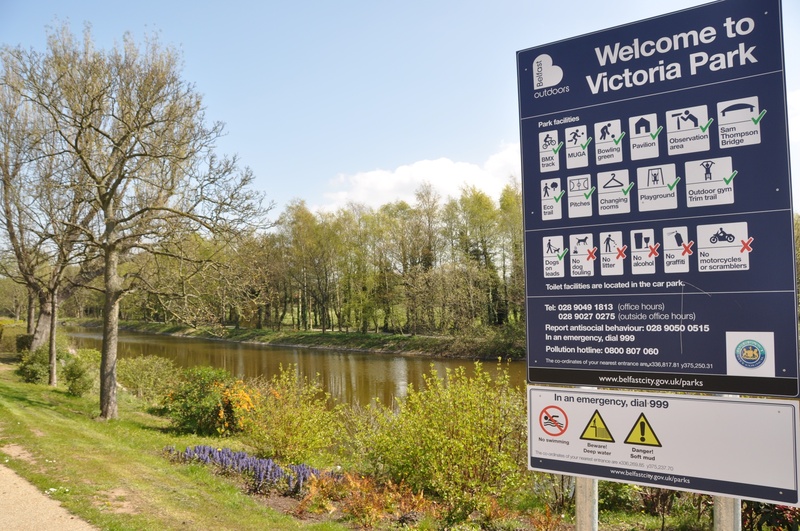 I walked into Victoria Park from Ballymacarrett Intake, using the Sam Thompson Bridge. 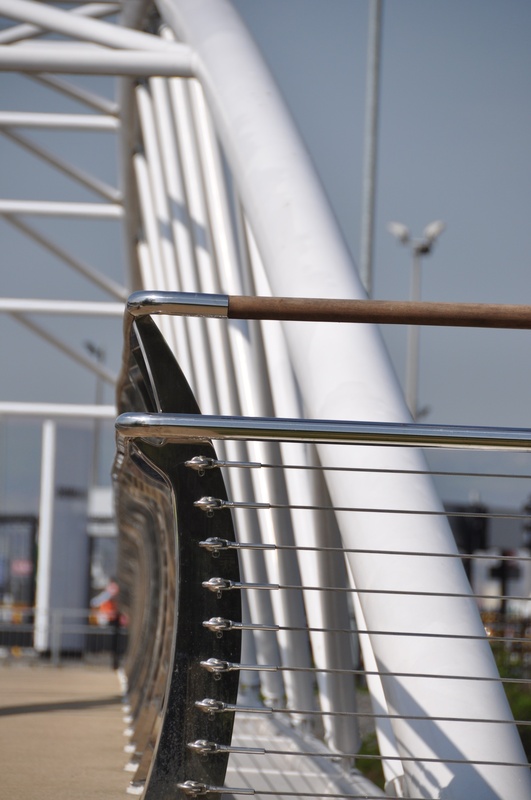 The bridge was opened in April 2014, and is named after local shipyard worker and playwright Sam Thompson (1916-1965). It connects the city to this lovely park. The park is also the start of the Connswater Community Greenway. The Greenway Project is creating a 9km linear park through East Belfast, following the course of the Connswater, Knock and Loop Rivers. 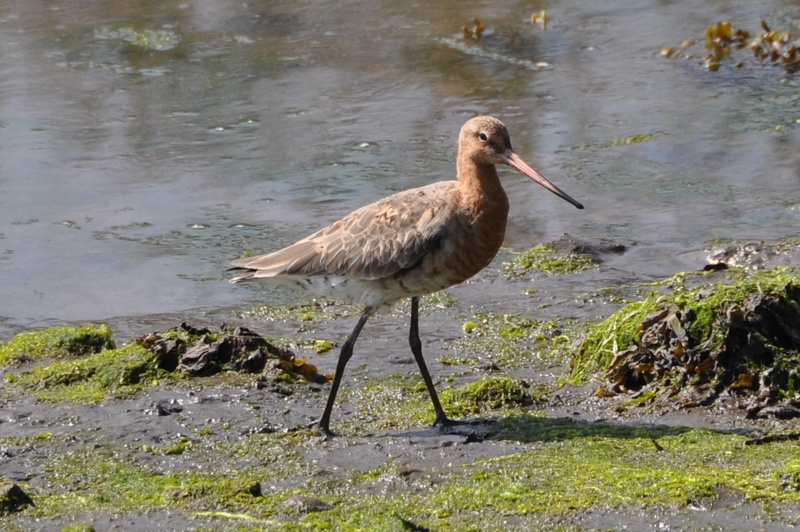 Many black-tailed godwits from Iceland spend the winter in Belfast Lough. The bird in the next photo was patrolling the townland boundary between Victoria Park and Ballymacarrett Intake. If you don’t want your feet to get so sticky, I recommend this path on the outside of the park. I must be honest about one thing: this townland isn’t always as quiet as I’ve made it look in the photos so far. 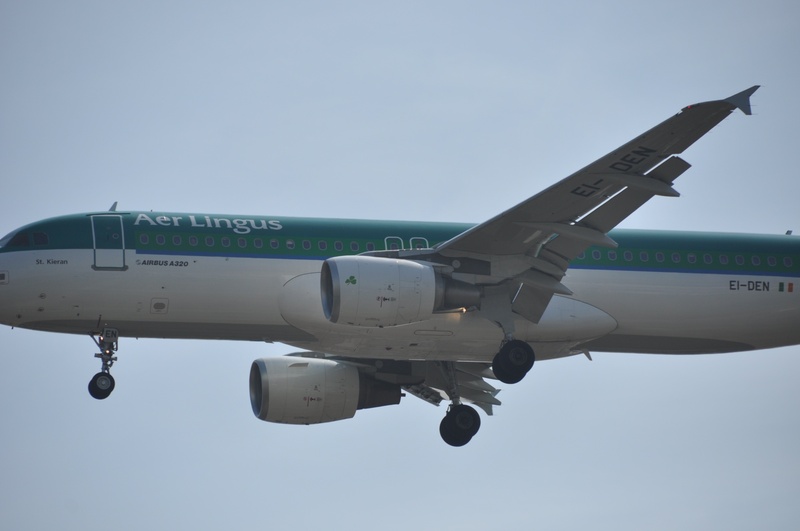 It’s just a little too close to George Best Belfast City Airport. Which townlands border Victoria Park? To the north, Sydenham Intake. To the east, Strandtown. To the south and west, Ballymacarret Intake. 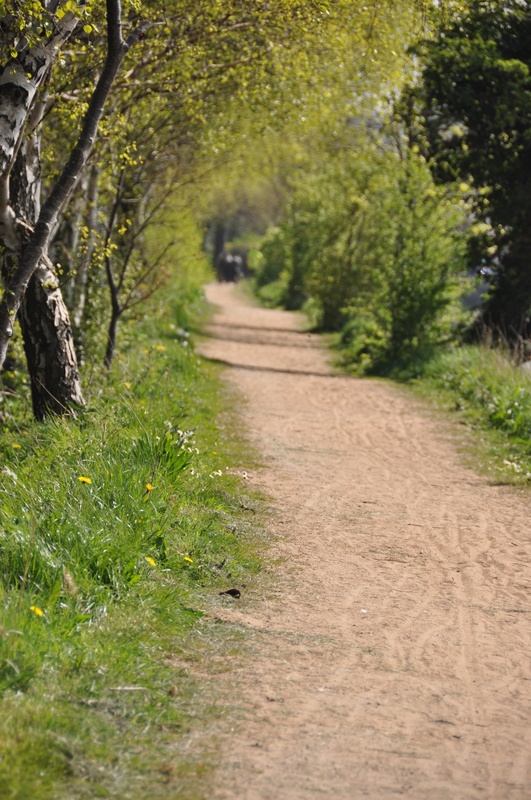 Click here to read more about the Connswater Greenway on their website, or follow them on Twitter at @ConnsGreenway. 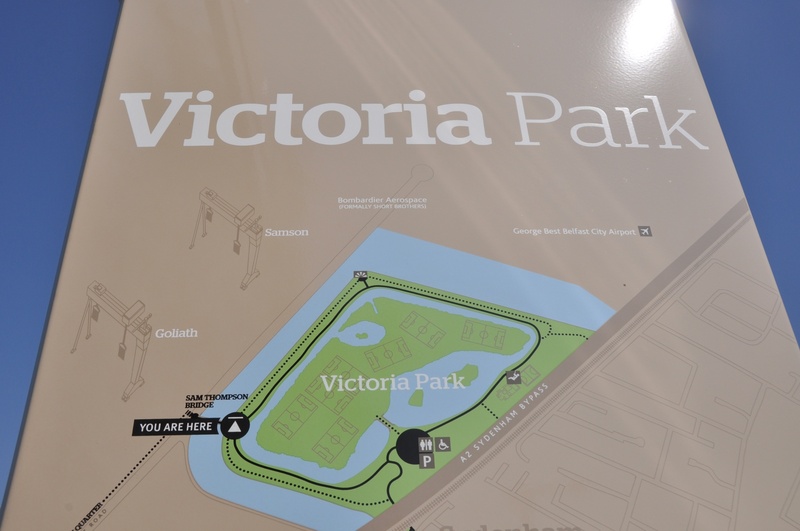 Click here to see a map of Victoria Park on Townlands.IE.